Tokyo has so many attractions to offer, but if you are looking to experience a true feeling for Japan, many outstanding cities and towns are just a short train ride from the city. 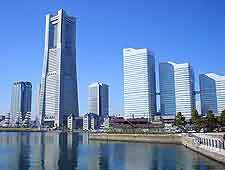 Yokohama is close to Tokyo and home to an excellent selection of waterfront attractions, including the gleaming Minato Mirai 21 development, while Omiya is famous around the world for its truly unique Bonsai Village. Other attractions in close proximity of Tokyo include the cities of Chiba, Kofu, Mito and Utsunomiya, all of which have plenty to offer visiting tourists. 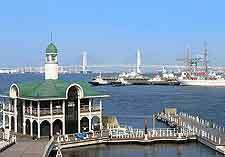 South of Tokyo, the attractions of Yokohama are a popular excursion by holiday makers. With a population of more than 3.5 million, Yokohama is Japan's second-biggest city and famous for its modern seaside landmarks, Museum of Art and Chinatown district, close to the harbour. 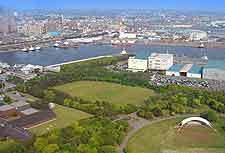 A great way to view the cityscape is to take a helicopter tour around central Yokohama, departing from Rinko Park, close to Queen's Square. 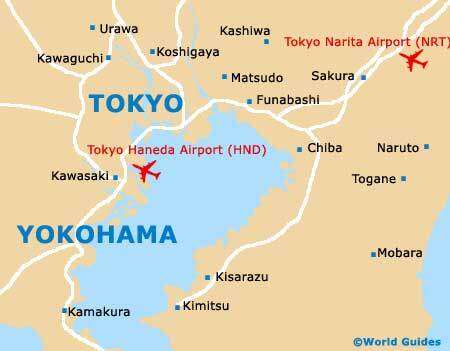 Capital of the Chiba Prefecture, the city of Chiba stands to the east of Tokyo and faces Tokyo Bay. With many coastal attractions, a thriving business district and the world's longest monorail, Chiba was founded in the early 1920s and features a number of popular beaches, being especially close to the Tokyo Disney Resort theme parks and Narita Airport. On the western side of Tokyo is the city of Kofu, capital of the Yamanashi Prefecture. 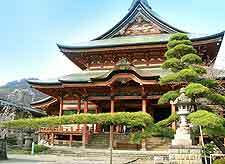 Kofu has a population exceeding 200,000 residents and many magnificent historic landmarks, with the main attractions including the Kai-Zenkou temple, the Maizuru Castle Park and also the Takeda Shrine. Utsunomiya is a large city with a population of almost 500,000 people and a number of interesting attractions. Situated north of Tokyo, Utsunomiya is home to the enormous Bell Shopping Mall, which is within walking distance of the Utsunomiya JR Train station. North-east of Tokyo, Mito is the capital city in Japan's Ibaraki Prefecture and famous for its superb Kairaku-en Japanese garden. Regarded as one of Japan's 'Three Great Gardens', Kairaku-en covers around 18 acres / 7 hectares and was created in the 1840s and is known for its extensive plum blossoms, which flower each year towards the end of February. Located within the commuter belt of Tokyo city and a must-see for Japanese garden enthusiasts is the unique Omiya Bonsai Village. Established in the 1920s, the village comprises a number of magnificent bonsai gardens and nursery, which are famous around the world and highly regarded for their many quality bonsai trees and famous artists. 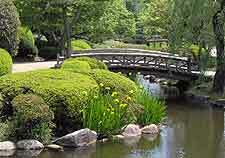 The main bonsai nurseries are concentrated around Omiya City, while further nurseries are located in the suburb of Someya.